Halloween is almost here, which means it time to start getting in the spooky mood. 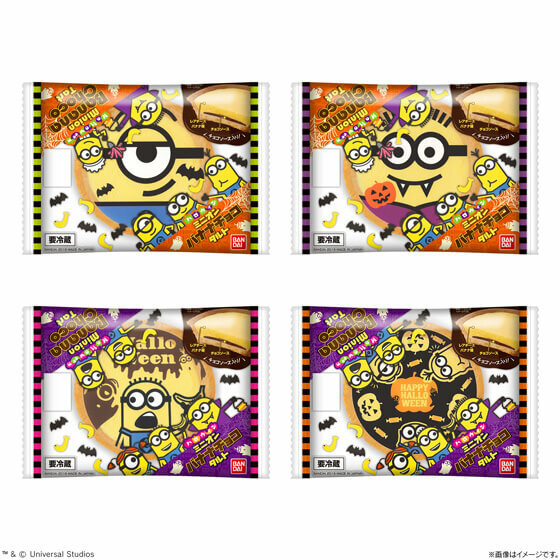 The new Halloween Minion Banana Chocolate Tarts just dropped pre-sales at Ministop branches across Japan on October 2, with general sales beginning on October 17 at AEON Retail. These tarts are the perfect treat for the Halloween season, featuring designs of Minions from the popular Despicable Me film franchise together with other Halloween motifs like pumpkins and monsters. They are yellow like the Minions and banana flavoured – Minions’ favourite flavour. The tarts are crunchy and are covered with a white chocolate coating. Inside is a banana flavoured mousse layered like a cheesecake as well as chocolate mousse. The banana and chocolate make for a deliciously rich combination. Part of the fun of buying these tarts is choosing which one to go for. There are 6 designs to choose from that include Bob, Jerry and Stuart. 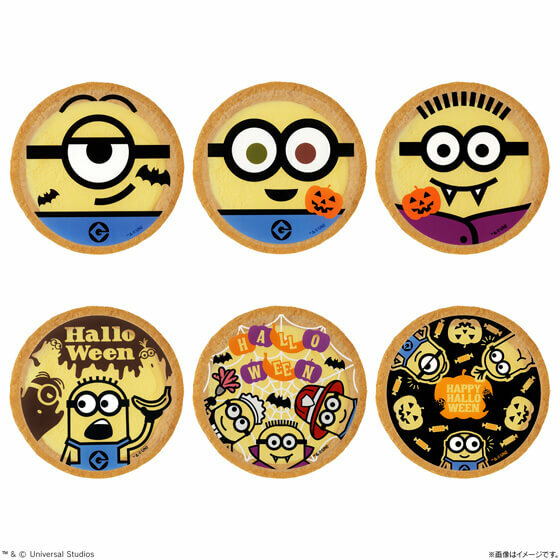 The packaging too has Minion decorations with Halloween colours. A special campaign is also being held from October 2. 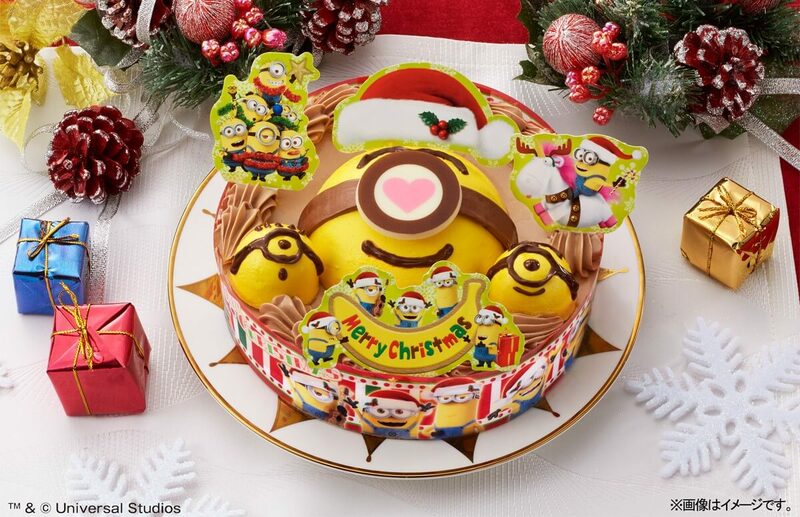 Three lucky people have the chance to win the above Minions Christmas cake by posting their photos of their tarts with the hashtag #トリックオアミニオンタルト on Twitter and Instagram. 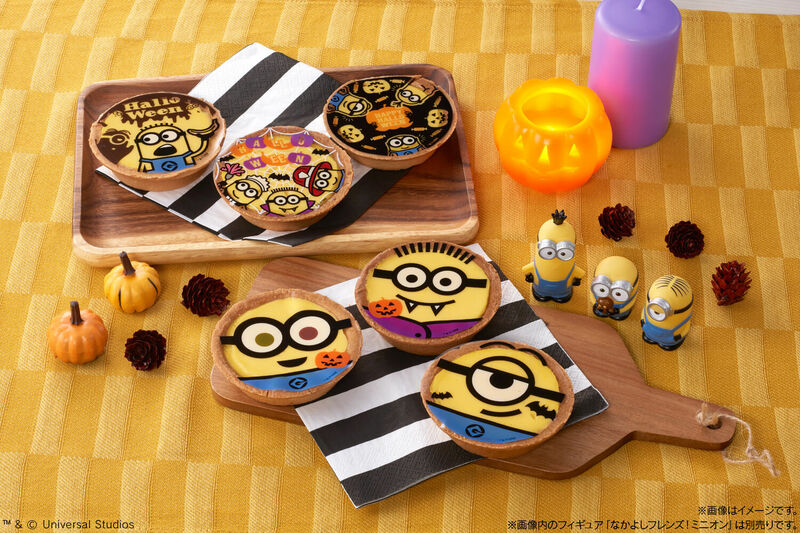 Get your hands on a cute Minions tart in Japan this Halloween! *Limited stock. Sales will discontinue once all are sold. *Sales subject to closure depending on the season. *Initial sale dates differ depending on the branch. *Full details available on the official homepage. Winners will receive a direct message from the official accounts. Bandai Candy will not reply to queries regarding the election results. *Pre-orders for the decorative Christmas cake are now open on Bandai’s official shopping site Premium Bandai. *The Christmas cake is not limited to the campaign and can be purchased normally. *Winners will receive their cakes in December 2018. *The figures in the first photograph are not included with the tarts and are a separate product. *The photos show a product still in development. Actual product may differ slightly. *The latest information can be found on Bandai Candy’s official homepage. *The information written is subject to change without notice.